Dogs love playing and being around people, and dog toys are often the medium by which they bond and interact with their humans. The kind of toys you expose your furkids to makes a lot of difference to their physical, social and cognitive development. It’s important to choose the right toy for them, and finding the best toys for small dogs can be especially challenging. Whether you have a large dog or a small one, size matters. If you choose a dog toy that is not the proper size, it could cause injury to your pet or lead to choking. Some dogs also will refuse to use and play with a dog toy that's too large or too small. Also, an appropriate toy for a puppy may not be the best choice for your adult dog. * Click on the best toys for small dogs for more information, prices and details. Scroll below to read reviews. The right dog toy will keep your canine companion entertained for long periods of time. To find the right one, you need to know what your dog likes. Does he like to fetch? Maybe he enjoys a game of tug? Perhaps he is a young dog that likes to chew? 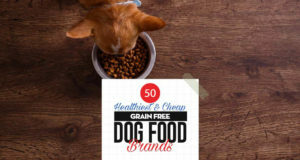 Whatever your dog prefers, that is what you should be shopping for. You also need to think about the type of chewer that your dog is. If he is destructive, plush toys may not be worth it. However, some dogs enjoy carrying a medium or small dog toy around in their mouths with no interest in ruining it. If this is the case with your pooch, a soft, plush medium sized dog toy would be an excellent choice. Remember that the price of a dog toy is usually directly related to its quality. A $1 toy is not likely going to last very long. It's difficult to justify spending $10 on a dog toy, but if it's going to last for months (or even years) then it's easy to see the value in the product. Just keep your dog's size in mind, and be sure to choose a small dog toy that isn't going to be too large or pose a chocking hazard. Small dogs have smaller mouths, and they can't carry as much weight as larger breeds. If you choose a dog toy that is too large, they will not be able to enjoy playing with it. You also need to be sure that you select a small dog toy that will be durable enough. If he doesn't tend to shred toys, then it won't be difficult to choose one that will stand up to his jaws. However, if you've got a destructive chewer on your hands, you need to find a durable dog toy that he won't be able to chew into tiny pieces and swallow. If you really want to be sure that your pup won't get bored, you need to have multiple dog toys on hand. Studies show that dogs prefer new toys, because they are exciting and offer a new challenge. You can keep old toys ‘new' to your pet by buying multiple toys and switching them out from time to time. 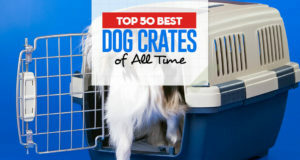 Perhaps some of the best toys for small breeds on this list will be right for your Fido. If you can't find what you're looking for here, try our list of best puppy toys or ask at your local pet store for their recommendations. 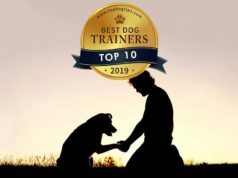 Your veterinarian or a dog trainer in your local area may also have some great suggestions. This pack of the best toys for small dogs contains carefully selected toys – a nylon tailspin flyer for fetching, squeaky rubber bone and spiky rubber toys for chewing, cotton balls and loops for chewing and tugging, and an assortment of fabric ropes for tether tugging. These toys from Lobeve promote healthy teeth and strong gums, appropriate physical and mental exercise, proper use of excess energy, and constant bonding and communication. Dog owners observed a marked decrease in separation anxiety and destructive chewing when the Lobeve Dog Toys 10 Pack Gift Set was introduced. With proper training, the toys could be used effectively to redirect undesirable behavior. Buyers were pretty impressed with their purchase. They say that the 10-piece pack costs less than if said toys were bought separately. 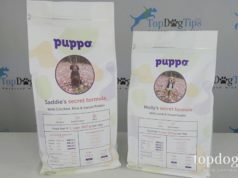 They found the toys to be very durable and of good quality, and they recommend this pack very highly. A set of these toys from Otterly Pets contains four different rope toys – ball-shaped, bone-shaped, and looped tug ropes. All are made of 100% cotton fabric and designed for tugging, tossing, fetching, and chewing. 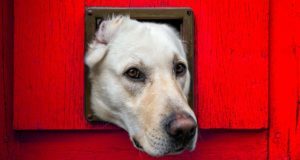 These activities do not only engage a bored or anxious dog, they also help dogs become healthier. Chewing on fabric promotes dental health, redirects destructive chewing, and pacifies other undesirable behavior. Playing toss-and-fetch and tug games enhances communication and strengthens the relationship between pet and owner. The pups like Otterly Pets Puppy Dog Pet Rope Toys for Small to Medium Dogs so much and would spend long hours engrossed in them. They find comfort in these toys and even sleep holding the tied ends. There are no parts that could be broken or chipped off but there are strands that could be chewed off and ingested. Dog owners say that they’re not too concerned about that, since dogs could easily pass cotton rope strands. Many pet owners think that this set of toys translates to money wisely-spent. The ropes are holding up so well to rugged play and persistent chewing. It’s amazing how a rope could hold a pet’s interest so much and how it stays in great shape after many months. The set is not expensive so buyers are doubly satisfied. When it comes to dog toys, you’ll never go wrong with a KONG. There are six sizes available, and the XS size is ideal for small dogs weighing up to 5 lb. Chewing is a natural dog instinct and the red Kong Classic is made to satisfy that need. This red ball is made of durable all-natural rubber and is designed for average chewers. It has an erratic bounce that makes it great for games of fetch. There’s a hole at the bottom for stuffing treats in. If there’s a single toy that does a lot of things for a dog, then it has to be the Classic Kong. First off, it’s very durable it lasts for ages. It has the bounce for active toss-and-fetch games. When stuffed with a treat and frozen overnight, the KONG Classic Dog Toy makes for a great mind-stimulating and calming toy for an anxious dog. It’s a great fidget toy for a bored or plain lazy dog and would keep him or her occupied for hours. Dogs love it inside their mouths when they’re idle, about to sleep, anxious, or feeling lonely. It keeps them off destructive sprees. Dog owners feel safer leaving their dogs with their stuffed Kong, and dogs actually seem more excited exploring it than foraging through drawers full of socks. Pet owners have over 101 things to fill their Kongs with and that makes the Kong all the more exciting to pets. When your little dog begs for attention with those big round eyes but you’re lacking sleep, interactive dog toys can be your lifeline. The ZippyPaws Burrow Squeaky Hide-and-Seek Plushy set has three patterns, namely, the Hedgehog Den, Mice N Cheese, and Chicken Hut. The Hedgehog Den features a roundish cylindrical den with holes and three cute hedgehog toys – all made of plushy, fleecy material. The other patterns make use of the same hide-and-seek concept but with different colors, designs and shapes. Dogs love to probe with their nose and paws inside the holes of the ZippyPaws Burrow Squeaky Hide and Seek Plush Dog Toy searching for the plump squeaky toys. They get their prize as soon as they get hold of a hedgehog squealing with that high-pitch squeak. They’d then pull their catch out of the hole and tenderly gnaw at it. The hedgehogs are about 2.5” wide and 4” long, and dogs love to carry them around like a trophy. Dog owners say that their dogs wag their tail in excitement whenever the cute hedgehogs are loaded inside the plush den. They have mastered the toy and know very well how the thing works, yet they still play with it enthusiastically every time. That’s actually quite a puzzle to some pet owners, especially that their dogs are not so keen on destroying these little fluffy things. They could easily tear these in smithereens in a wink of an eye but they prefer to go easy on them. Perhaps it’s the kind of toy that pets grow along with. Another KONG toy makes it to our list of the best toys for small dogs. Recently released in the KONG Cozie line is this cuddly plush squeaky toy. This is soft and cute on the outside, but made of several tough layers inside. When pressed, it gives off a squeaky sound that dogs find irresistibly appealing. There are 10 cute characters to choose from, and since they’re from KONG, they’re packed with the same quality, value, and durability that Kong toys are known for. Dogs love Marvin the Moose and would do everything to catch it in a fetching game. The KONG Cozies Dog Squeaky Toy won’t fail to get your dog’s interest, whether you’re tossing Marvin for your dog to chase, or tucking Marvin with your dog to sleep quietly. Marvin and the rest of the gang – Ali the Alligator, Elmer the Elephant, and seven more – are not just prized trophies or hunter’s prey – they’re a dog’s comfort friend, too. According to dog owners, these best toys for small dogs are among the toughest plush toys they ever had. Of course, it largely depends on how destructive or not your dog is when it comes to chewing, but the Cozies survive regular chewing. Two to three months in a household is the usual lifespan of these KONG toys, and that’s a long time for a home with average chewers.